The NHL Eastern Conference is one of two conferences which make up the National Hockey League (NHL). The NHL East was formed in 1974 and at the beginning of the 80s, it was rearranged to have teams that geographically were located in the East. The Eastern Conference of the NHL is further split into two divisions the Atlantic Division and Metropolitan Division. In total NHL East has 16 teams equally divided into its two divisions. In its early years, the NHL East Championship, known as the Prince of Wales Trophy, was won by the team with top season wins total. This changed in the 1981-82 seasons where the NHL East champion was decided via playoffs. The playoff system in the NHL takes the best four teams from each division in NHL’s Eastern Conference. Then top four teams from each side are pitted against each other in playoffs. The playoff victors progress to compete in the Division finals. The two winning teams of the division finals then face off for the Conference Championship Trophy. 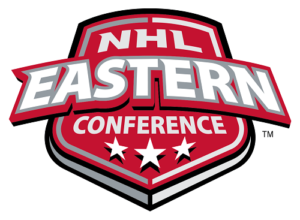 In order to place smart bets on the NHL East Conference, one must be familiar with the history and statistics of the conference. Knowing how teams perform at playoffs and at the Division finals will guide you in terms of what types of bets to place. In the last 20 NHL East Prince of Wales Trophy playoffs, from the 1997-98 season to the 2017-18 season, there hasn’t been a completely dominating team. The greatest number of wins have been by the Pittsburgh Penguins and New Jersey Devils. These two teams have won the NHL East’s Championship, four times each out of 20 playoffs. Four other teams have won the NHL East Championship twice each. These are the Washington Capitals; Carolina Hurricanes; Tampa Bay Lightning; and Boston Bruins. The other four playoffs have been split amongst the Buffalo Sabres; Ottawa Senators; Philadelphia Flyers; and New York Rangers. As we highlighted earlier the NHL East Conference has a total of 16 teams partitioned into two division. The Atlantic Division consists of teams located in that geographical location as with the Metropolitan Division.